History of the building where our hotel is very interesting. An urban estate of Countess Varvara Petrovna Razumovskaya (nee Sheremeteva) was built at the end of the XVIII century on the site of the well-known the Pokrov Church in the Gardens. 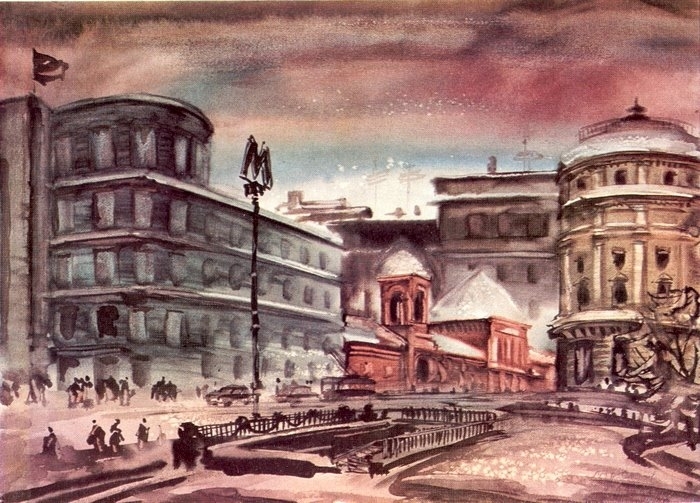 In 1778, the temple is completely dilapidated and it was dismantled, and the vast property on the corner of Lubyanka passage and Maroseyka street passed to Razumovsky, but construction of the purchased land for a long time was not made and the first mention of area as the estate Razumovsky falls on 1796. House with a corner rotunda was built for Countess Razumovskaya by her husband, Count Alexei Kirillovich Razumovsky as compensation in case of divorce. In 1784, on the tenth year of marriage a wayward and despotic Aleksei Kirillovich, most of the time living in Gorenki estate near Moscow, told his wife to leave his home, leaving him children. Left to itself, Varvara Petrovna Razumovskaya, built a new house on Maroseyka, finishing its construction in 1796. During the Napoleonic invasion, in 1812, in the manor lived Marshal Mortier. He was infamous after fleeing the French trying to blow up the Kremlin. Writer Leo Tolstoy mentioned this house in his famous novel “War and Peace” in the description of the scene capturing of Moscow by Napoleon Bonaparte. In 1822, Count Razumovsky died, his widow survived her husband by only 2 years old, and died May 27, 1824. In the same year, all manor buildings came under the jurisdiction of the Moscow Gentry custody. All movable and immovable property of the spouses inherited the eldest son Petr Alexeevich, and in 1826 the house changed a few notable owners and has undergone numerous reworks, but its main lines have survived, especially a great corner rotunda. After the October Revolution of 1917 home ownership was nationalized and came under the jurisdiction of Real Estate Management. 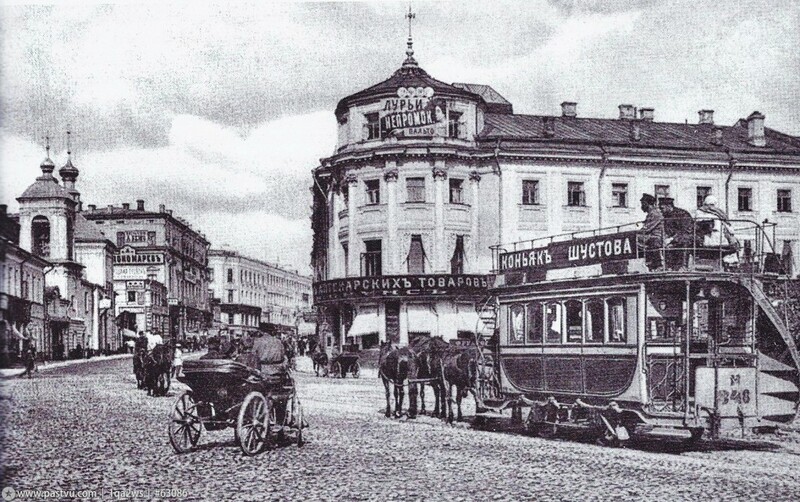 In 1975, the Metro station “Kitay-gorod” (in Soviet times “Nogina Square”) was constructed in the building.